Daniel “Danny” K. Ragheb ’20 and Samyra C. Miller ’21 are involved in a little bit of everything on campus. As of now, however, a role on the Undergraduate Council appears on neither candidate’s resume. Ragheb and Miller — the only outsider ticket on this year's ballot — are aware that some may be hesitant about their lack of UC experience, but they don’t think this should delegitimize their campaign. “[This race] is not about who has had more UC experience, it is not about all of our accomplishments so far. It is about finally giving students a chance to be heard,” Ragheb said. The two have also shared a microphone outside of their UC presidential campaign. Ragheb and Miller first met last fall following a performance hosted by The Lowkeys, a campus a capella group. Ragheb started the conversation by complimenting Miller’s singing abilities showcased in that night’s concert. They began to discuss potential improvements to campus life, and this casual conversation would evolve into their UC presidential campaign. After their initial encounter, despite occupying different spaces on campus, the two continued to exchange ideas. Ragheb is a Neurobiology concentrator in Currier House, while Miller is a Sociology concentrator in Lowell House. Ragheb is involved in an improv group and Harvard Model Congress. 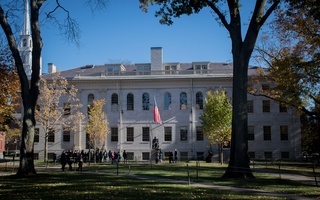 Miller is involved in the Black Students Association, Association of Black Harvard Women, The Lowkeys, and 21 Colorful Crimson. 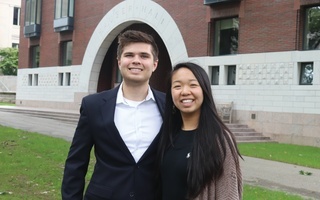 During a lunchtime conversation in the Lowell dining hall a few months ago, Ragheb asked Miller to be his running mate for the upcoming Undergraduate Council presidential elections. “My initial reaction was, ‘Oh, Lord.’ Then, I thought about it for two or three days. I realized that a lot of the issues that [Ragheb] was passionate about, I was passionate about as well. My ultimate decision was to tell him yes,” Miller said. “One complaint you hear about the UC is that the environment is toxic, and the leaders are not always kind to other individuals. I wanted someone who would be kind to individuals and let them give their own ideas but also be firm," Ragheb said. Ragheb and Miller's platform is focused on amplifying student voices that they believe are currently unheard in the UC. “The UC, the way that it is, does not work, does not create change, and the reason why, is it does not listen to students,” Ragheb said. In the nascent stages of their campaign, Ragheb and Miller sat down with Alexander R. Miller, the associate dean for student engagement, for advice on their platform. The pair wanted his expertise as UC faculty advisor to learn what constitutes a realistic bill within the Council. One such idea that emerged from this meeting was the pair’s proposal to allow Board Plus — points allocated to students each semester that they can spend at on-campus eateries — to cover laundry fees. While speaking to Alexander Miller, the pair was surprised to learn of the UC’s waning influence in significant administrative decisions. Ragheb said he believes the UC once had enough sway to enact substantial change on campus. He pointed to the UC’s successful petition to move finals from after winter break to before the break. Both Ragheb and Miller said they believe the Council can regain this level of influence. Their platform is centered upon creating more social spaces for students, rallying for better identity-based therapy sessions on campus, and expanding the caucus system within the Undergraduate Council. 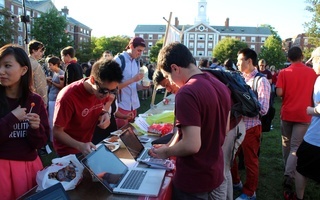 Ragheb and Miller hope to improve Harvard’s social scene by promoting the creation of new social spaces. Ragheb and Miller said the College’s policy of sanctioning members of single gender final clubs and Greek organizations — which took effect with the class of 2021 — has disproportionately affected women’s groups on campus. Still, the pair said they appreciate the administration’s attempt to mitigate the harmful impacts of final clubs. “Everyone needs a space that includes those they identify with and people that identify similarly. I agree with the administration’s choice to do something to ensure that finals clubs don’t affect the social scene as much as they do now,” Miller said. Ragheb and Miller said they want to create social spaces for all, including those who do not like parties. “We care about creating physical social spaces on campus that people can feel comfortable in. We want spaces for students to have a wide variety of enjoyments on a Friday night, whether that’s a game night, wine and cheese night, or a full-on rager,” Ragheb said. In addition to creating more social spaces, the pair also hopes to reform the College’s identity-based therapy programs. The forcible arrest of a black student near campus last semester lead Ragheb and Miller to advocate for the need for multiple counselors of color to better help students of color grapple with issues tied to their identities. The pair also advocates for more proactive discussion about diversity issues on campus. The duo has also taken a stance on the admissions lawsuit the University is currently facing; an anti-affimative action group alleges Harvard discriminates against Asian-American applicants to the College. “Race-conscious admissions helps the goal of creating access [to higher education] to people who would not have had it before, which is important,” Miller added. 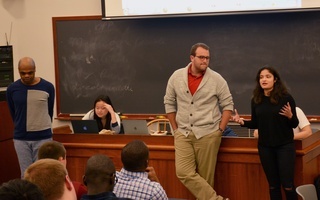 The pair also noted that some students may currently feel under-represented within the UC. “This is a hypothetical situation, but if I lived in Currier and my reps were three straight white men and I did not identify as either of those three — no matter how well-intentioned they are and how much they want to advocate for me — how could they possibly advocate for me as well as they need to if I have an issue that’s intricately tied to something they’ve never had to experience,” Ragheb said. Ragheb and Miller said they hope to address this feeling of underrepresentation with an expansion of the Council's caucus system. 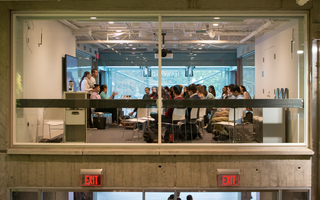 Their proposal, they argue, will give a voice to a greater number of students and not just those on the Undergraduate Council. “If you’re not happy with the way the UC is working, vote for us. If you do not like your situation on campus, vote for us. If you’re fed up, vote for us,” Ragheb added. 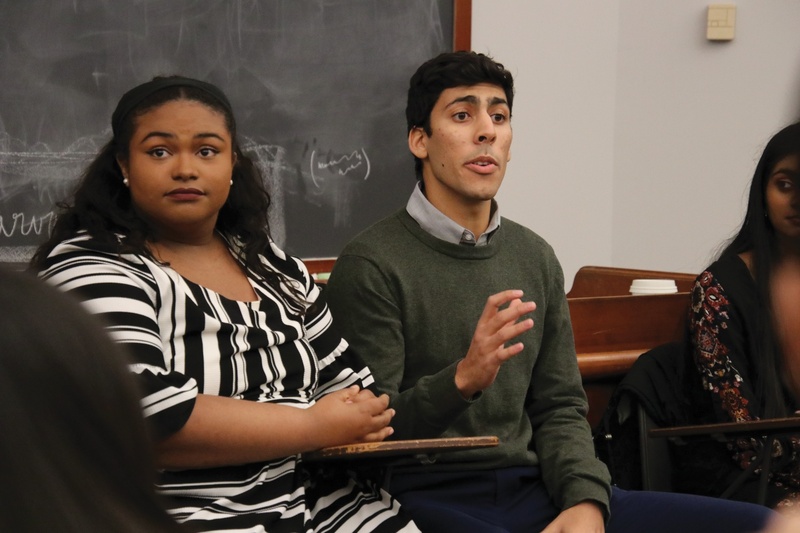 A previous version of this article incorrectly stated that the campaign slogan of Daniel “Danny” K. Ragheb ’20 and Samyra C. Miller ’21 is "The Mic Is Ours." In fact, their slogan is "The Mic Is Yours."